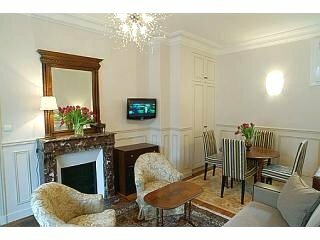 France regions offer many wonderful and different travel experiences. Deciding where to go may be a challenge and I aim here to help. There are 26 regions. 21 in metropolitan France (mainland France) and 5 oversees. The regions in turn are divided into departments. To keep it clear in my head I often liken it to the US use of states divided into counties. The division of the country into regions is purely political. When we travel we may be surprised that we’ve never heard of a region yet know a specific department. For example, the Dordogne is a department not a region which confused me no end when I was first planning our trip there. Each region has a different flavor. Those that border other European countries have the influence of that border country’s culture. It makes complete sense. French history is very old and some of the areas of France once belonged to the neighboring country. For example, Alsace borders Germany and has Germanic influenced architecture, language and food. Also, just like in the US in different regions of the country people are different in their behavior. For example, in the south of France people are more relaxed and smile more. Perhaps it’s the weather. You don’t find that in Paris where folks are more city-like and a bit more brusque. Those culture books you read on how to behave in France, etc. generally are outlining Paris culture. Located in north central France, Paris is the major draw. Other attractions in this region include Versailles, Disneyland Paris, Giverny, Fontainebleu. Commonly referred to as the Loire, it's located in western France. 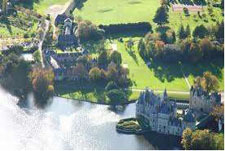 Offers beautiful chateaux, lovely drives, food and wine. Normandy, in western France offers great history, food and a gorgeous coast. 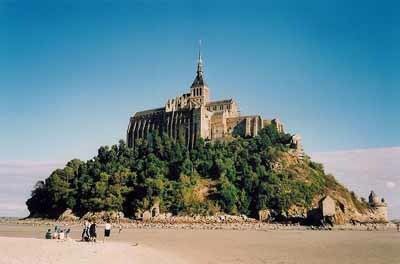 The most popular and stunning draw is le Mont Saint Michele. There are lovely villages and architecture, delicious food and beautiful countryside. Interesting historical sites are the d-day beaches. French riviera beaches have long been a draw for the chic. Museums, relaxing, people watching and beautiful villages are sure to delight. A haven for artists over the years because of the beautiful light. In Southern France Provence offers many ancient cultural sites, hiking, camping, beautiful villages and scenery. Attractions include: Site du Pont du Gard, Arles, Avignon, Orange, Les baux de Provence.